Here is the basic set up for the bonus levels that will be placed in between levels in “When It Hits the Fan”. 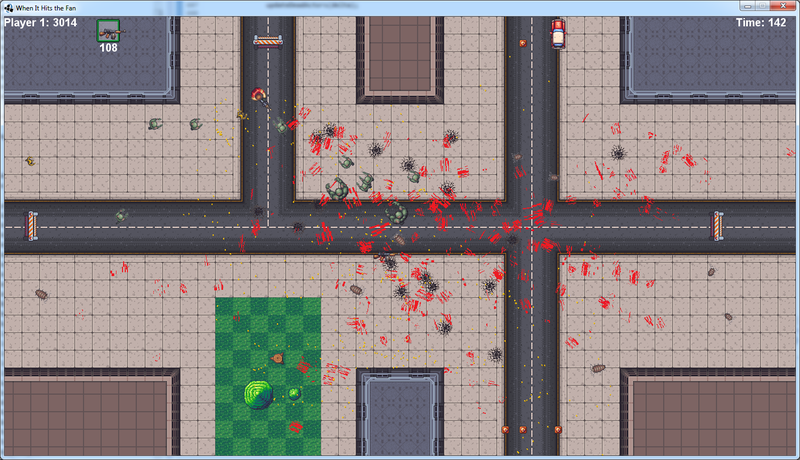 There will be unlimited enemies spawning from different points of the screen with a timer counting down. If you survive the encounter, you get more points. 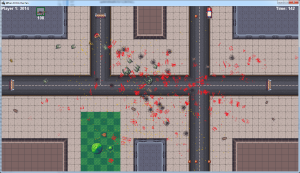 This screen shot shows a lot of place holder graphics including the UI, bloodsplatters (will be replaced with the enemies’ bodies), and some of the tiles.